Visiting the dentist is a necessity in order to ensure your teeth and gums are healthy and that you do not have an underlying disease which can potentially be life-threatening. However, for some children and adults, dental anxiety can stop you from making and attending your appointments regularly. If you have dental anxiety, there are a few ways to go about easing the worry and stress you feel before you step into the office next. Dentistry has greatly improved in the past few decades with new ways to help patients ease their fears including the use of nitrous oxide. 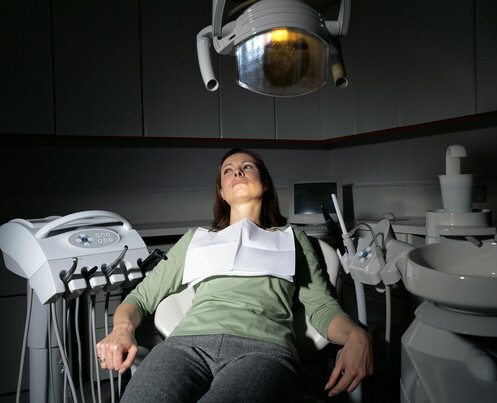 Dentist offices are often calming and present a relaxed atmosphere to keep patients at ease during a routine cleaning, checkup or even surgeries that may be required. Easing dental anxiety can be done by mentally preparing yourself ahead of time while also understanding the importance of regular maintenance to ensure you are as healthy as possible. Mentally prepare yourself by visualizing the appointment and the end of the checkup you are going to the dentist office to receive. Understand the dentist will help to ease you into the process and is there to listen to any discomfort you are having or anxieties that may be present during the appointment. Incorporate deep-breathing techniques into your daily routine and during any visit to the dentist’s office to help ease your mind while staying as relaxed and focused as possible. Another method of ridding fears and anxieties includes meditation, which can help to give you clarity while realizing the importance of visiting a dentist office for any reason. When you are at the dentist office, ask about available remedies such as nitrous oxide which can help you to relax and feel more comfortable during procedures and routine cleanings. Speak openly about any concerns or emotions you are feeling while you are in the dentist office so the professionals are capable of making you more comfortable while you get adjusted to the tools that may be used to clean your teeth and check your gums. We recommend talking to your friends and family for suggestions of a welcoming and friendly dentist in your area. Don’t hesitate to contact or visit different practices to see where you feel comfortable.